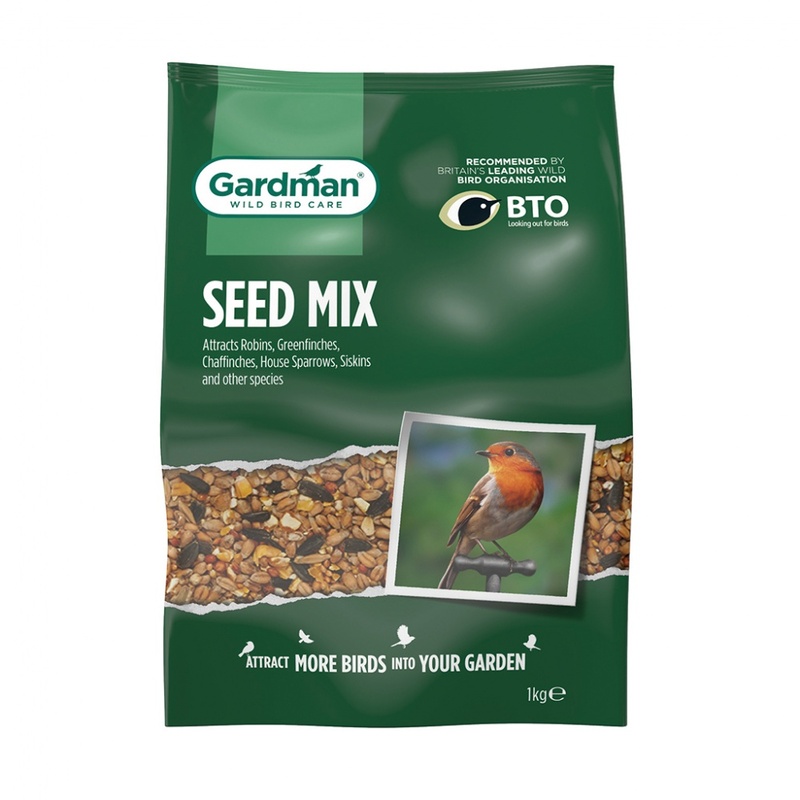 Gardman Seed Mix For Wild Birds 1kg pouch provides a necessary and welcomed food source for a large variety of bird species. An all purpose seed blend with oil rich sunflower seeds. 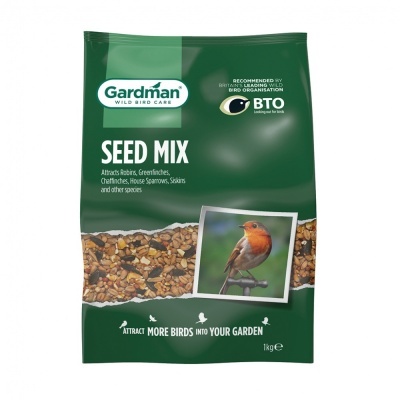 Suitable for use on bird tables, in seed feeders and for ground feeding. Supplied in resealable storage bag to ensure feed is kept fresh and not attracted to rats or mice when in storage.